Ferris' new book is here! 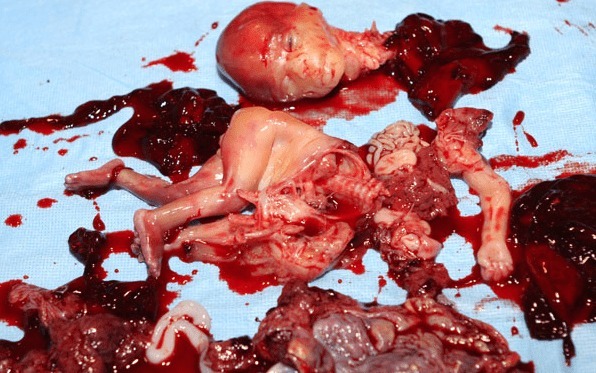 Humanity Evolves at the Speed of Justice. 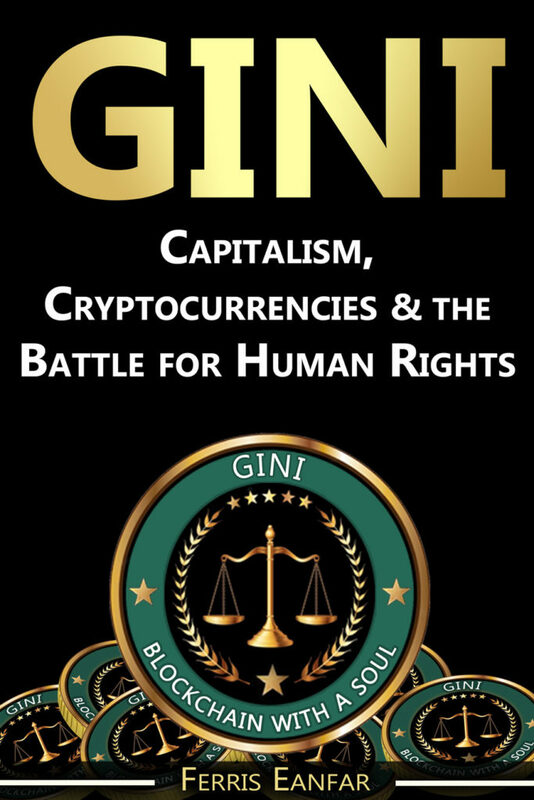 GINI: Capitalism, Cryptocurrencies & the Battle for Human Rights is a book about justice and the technologies, systems, and public policies that are necessary to achieve justice. Humanity’s technology is evolving at an exponential rate, but our laws and cultural norms evolve at the speed of justice. The speed of justice is dictated by those who have the most financial and political power in a society. The more concentrated the power, the slower the justice. Indeed, “justice” can only exist when economic and political systems produce outcomes that maximize health, wealth and political freedom for the largest number of humans. By that measure, the speed of justice in many countries on Earth today is excruciatingly slow. In fact, it’s not only slow; it’s accelerating in reverse. Privacy Is a Fundamental Human Right. All human rights depend on the right to privacy. Democracy cannot exist without protecting the human right to privacy because politicians and the corporations that finance their political campaigns inevitably use their wealth and power to spy, manipulate, and sabotage their political opponents. This can prevent citizens from holding them accountable for their performance, which leads to a deterioration of institutional integrity and many socioeconomic problems. These assaults on democracy and human liberty are only possible when politicians and corporations are given the power to violate our human right to privacy. Gini protects your human right to privacy. The Essence of a Broken System. With such enormous economic and political power concentrated in the hands of less than 0.01% of Earth’s corporations and less than 0.0000001% of Earth’s human population, is it any surprise that economic and political systems worldwide are imploding and humanitarian crises are exploding? All the problems discussed throughout this book are only possible when gigantic corporations and governments collude against the best interests of their citizens. 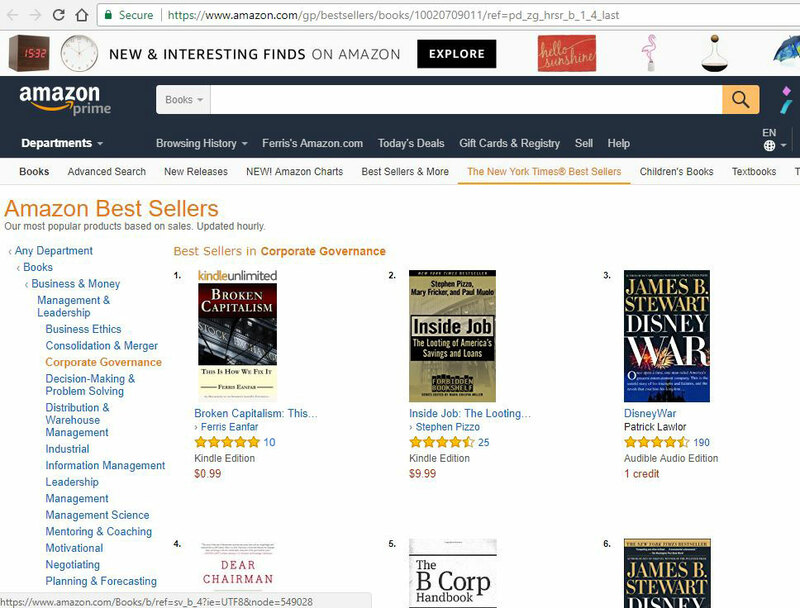 This is the essence of broken capitalism and broken democracy on Earth today. Gini provides solutions. The book is now available on Amazon! And here's the Kindle eBook version. You can also find the book at many other book stores worldwide. How Is Your Government Performing? Have you ever wondered why it seems like our world is falling apart? Or, how does your country compare to other countries for the most important factors like: real-world wealth trends, healthcare and education systems, quality of life, levels of corruption, effectiveness of economic and political systems? 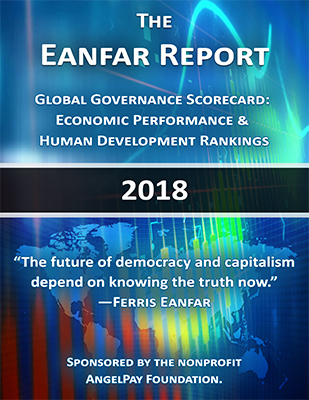 If you've ever asked any of these or similar questions, then you will appreciate the clear answers, vivid and easy-to-understand charts, socioeconomic insight, and geopolitical intelligence in the latest Eanfar Report. 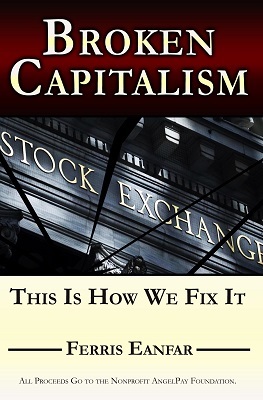 Read Ferris' best-selling book — Broken Capitalism: This Is How We Fix It. From the back cover: "Humanity Is In Trouble. When the 10 largest corporations on Earth have more combined economic power than 92% of all countries on Earth combined, the 50 largest financial corporations control wealth equal to 90% of Earth's GDP, the richest 1% of humans have more wealth than 99% of the world combined, and the eight richest humans have more wealth than the bottom 50% of Earth's entire population combined . . . it's safe to say humanity is in trouble. . . ."
See the detailed description, customer reviews, and worldwide availability or get it from Amazon. All proceeds go to the nonprofit, nonpartisan AngelPay Foundation. Ferris's articles and books cover economics, nonpartisan geopolitical systems and diplomacy, artificial intelligence, science and technology, applied philosophy, business and political leadership, among other topics.